Take your swim training to the next level with the TYR Ultralite Snorkel. By eliminating the head movements required for breathing, the LSNRKL swim snorkel allows you to focus solely on body alignment training. This swim snorkel is engineered with a teardrop shape and ultra lightweight, 180g construction. 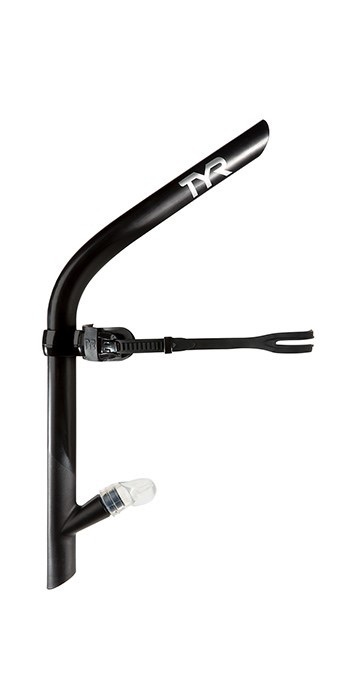 TYR swim snorkels feature a one-way purge valve for clear, easy breathing, a sliding head piece for targeted positioning and a simple and secure release button for quick and easy strap adjustment. Train hard, train smart with the Ultralite Snorkel. Includes two airflow restrictor valves (60% and 30%) to increase lung capacity.